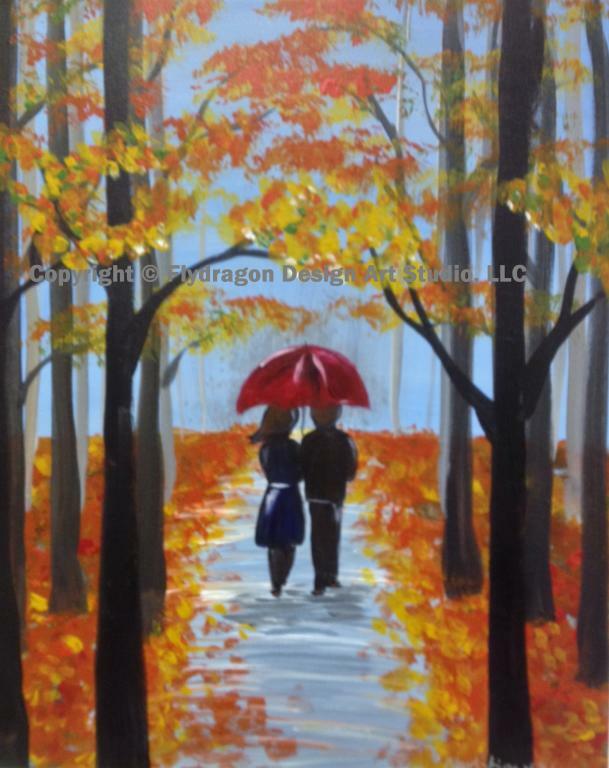 We are painting this couple walking in the park. Paint with us tonight and receive a special gift! This would be great painted across two canvases! You will be painting on a 16X20" stretched cotton canvas. All supplies are included!